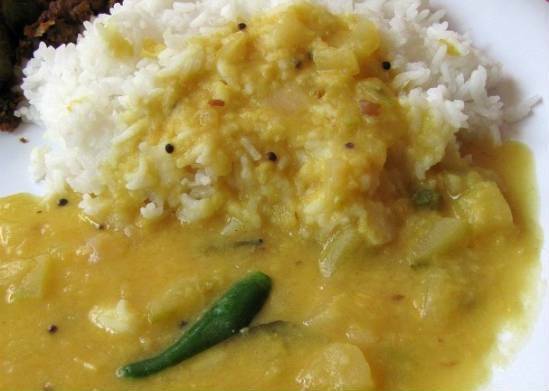 This is a popular dish made during summer when mangoes are available in plenty especially in Andhra Pradesh. Best served with rice and side dish of choice. 2. Pressure cook the mangoes until 1 or 2 whistles. 3. Separately pressure cook the dal until 1 or 2 whistles. 5. Add the mustard seeds, urad dal, ginger, green chillies and fry for 30 seconds. 6. Add the cooked mangoes, dal, salt, red chilli powder and asafoetida powder. 7. Add enough water and stir to mix well. 8. Simmer for a few minutes and bring to a gentle boil. Note: If you are using the ground paste, then add it at step #5. 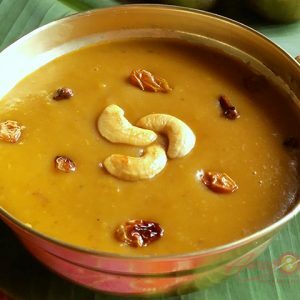 Feel free to comment or share your thoughts on this Mango Dal Recipe from Awesome Cuisine.